iAttend is the new application from DPS, specifically designed for criminal solicitors. 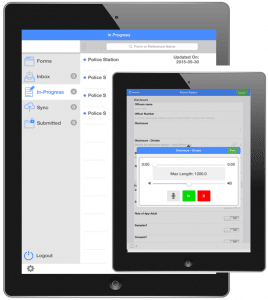 The system allows users to complete and submit Attendance notes remotely, from Police Stations, Courts or any location with or without Internet access. Being mobile compatible, the app can be downloaded on any Apple or Android mobile device and is integrated with DPS’s case management system. iAttend provides the relevant forms required by criminal defence lawyers namely Police Station, Crown Court, Magistrates Court and Telephone Attendance that once submitted, can be incorporated within the Outlook Office case management software. The app synchronises whenever there is an Internet connection available and sends all the recorded forms to the office-based DPS system. The matter creation process thus follows the export of forms- forms which will be automatically saved as PDF files against their corresponding matter. Once saved within DPS, the information recorded in the attendance forms will become available to use in other DPS documents. iAttend takes the user through the logical steps involved by each form, allowing them to type, dictate or simply select the corresponding information against the right field. The forms are split into sections and only those applicable to the attendance note at hand are shown to the user. Once completed, the document can be signed on the mobile device that the app is installed on. A flexible system, this can also be used by criminal solicitors working for different law firms- all they have to do is select the firm and then the form that they want to complete. Ash Bhatia of Bhatia Best Solicitors in Nottingham shared his views on the new app: “DPS have done it again! I must make a profit and 2 tier, rate cuts and TSJ are a challenge. I demanded remote working, our own precedents, online/offline easy usage, no hardware constraints, total flexibility, maximum one touch efficiency and lower costs. DPS delivered iAttend! Over 30years of innovative working- DPS have not let me down”. iAttend will be available from the end of June. 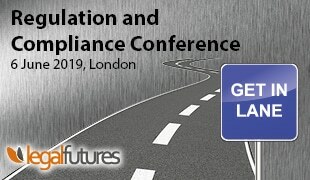 Live demonstrations of the product will be held at local Law Societies in Nottingham, Manchester and Bristol at the beginning of July as well as at the Law Society in London. The demonstrations are free and there is no obligation implied by attending. Please register and select a convenient location and time slot here.